Born and raised in Sturgis, Ryan and his family moved back a couple of years ago to lead Radiant Life Church. Ryan is passionate about teaching God’s word and helping people understand how incredible and life-changing Jesus is! He loves using props and visuals that help aid in understanding God’s awesome story. If it’s creative, then it probably came from her mind. Patricia creates environments here at Radiant Life for people to feel “they belong here” and to experience Jesus. Also, if your young, Patricia leads our YAG ministry (young adult group).  If you are looking to get connected at Radiant Life and looking for your next steps in your faith journey, Brandon is your guy! He loves seeing people take a step closer in their relationship with Jesus and desires to celebrate that with you! From 5th-12th grade, Josh leads our students to own their faith and deepen their relationship with Jesus! And he loves Nerf guns! From birth to 4th grade, Amy leads Radiant Kids in helping them understand that God created them, God loves them, and Jesus wants to be their friend forever. If the carpets look clean, the bathrooms all tidy-up, and the kid’s fingerprints are off the windows, it’s because of Crystal! She does an incredible job getting the building ready for people to experience Jesus each and every week.